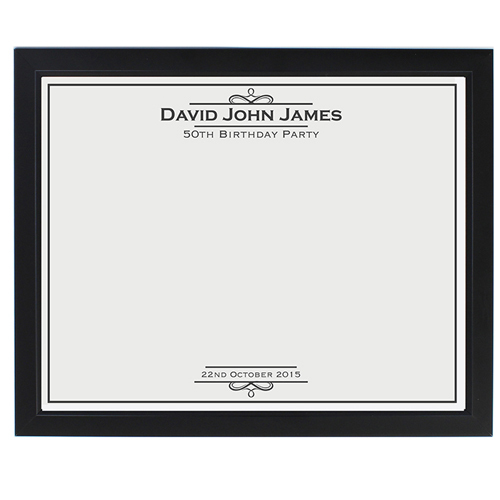 This Personalised Occasion Guest Book Frame with your custom name, message and date, will arrive ready to be filled with happy messages on the special day. Personalise with a name, names or message using up to 25 characters. A line a the top of 25 characters, and a line at the bottom up to 25 characters. Line 1 appears bigger.Personalisation will appear as entered.